MAKEUP ARTIST AND DESIGNER, MICHELE BURKE IS ONE OF THE MOST VERSATILE TALENTS WORKING WORLDWIDE TODAY. THE RECIPIENT OF NUMEROUS PROFESSIONAL AWARDS, MICHELE IS THE WINNER OF TWO OSCARS FOR BEST MAKEUP, BRAM STOKER’S DRACULA AND QUEST FOR FIRE, AND HAS BEEN NOMINATED A TOTAL OF SIX TIMES. MICHELE HAS ALSO TWICE WON THE BRITISH ACADEMY AWARD (B.A.F.T.A.) FOR MAKEUP IN CYRANO DE BERGERAC AND QUEST FOR FIRE. MICHELE’S IMPRESSIVE MOVIE RESUME INCLUDES SOME OF THE TOP FILMS — AND STARS — OF THE LAST FEW YEARS. OTHER MOVIE HIGHLIGHTS INCLUDE: OBLIVION, ROCK OF AGES, MISSION IMPOSSIBLE: GHOST PROTOCAL, MISSION IMPOSSIBLE III, MONSTER HOUSE, ELIZABETHTOWN, THE CELL, SPANGLISH, MINORITY REPORT, AS GOOD AS IT GETS, AUSTIN POWERS 2: THE SPY WHO SHAGGED ME AND INTERVIEW WITH THE VAMPIRE, AUSTIN POWERS AS GOLDMEMBER. MICHELE HAS NEVER BEEN ONE TO LIMIT HERSELF. 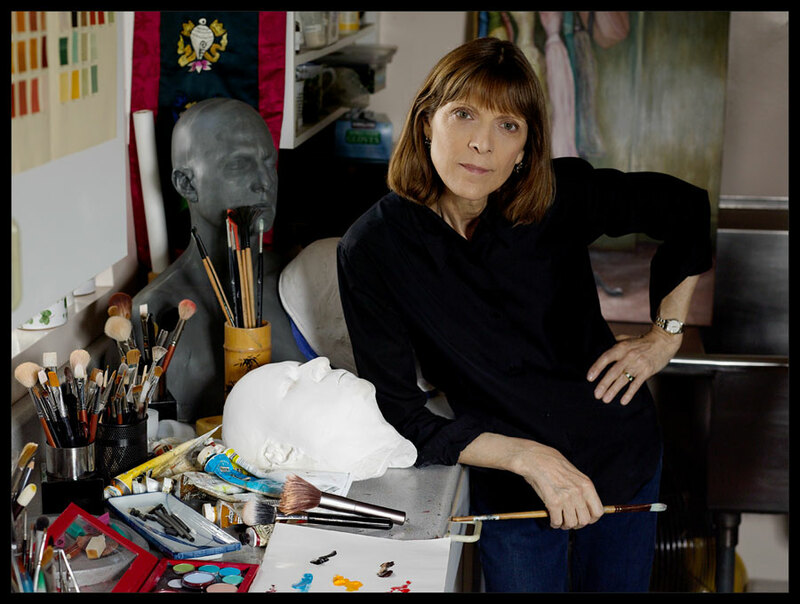 SHE’S ACCOMPLISHED IN ALL AREAS OF MAKEUP: DESIGN AND APPLICATION, BEAUTY AND FASHION SPREADS FOR PRINT MEDIA AS WELL AS HER SIGNATURE CHARACTER, PROSTHETIC, FANTASY AND PERIOD WORK IN FEATURE FILMS AND TELEVISION. A NATIVE OF DUBLIN, IRELAND, MICHELE EMIGRATED TO CANADA AND STARTED HER MAKE-UP CAREER AFTER WORKING AS A MODEL AND PRODUCING FASHION SHOWS. REALIZING THAT HER HEART WAS IN FILM RATHER THAN FASHION, SHE OFFERED HERSELF AS A MAKE-UP APPRENTICE ON THREE FILMS. MICHELE CURRENTLY RESIDES IN CALIFORNIA.